The autumn season is quickly coming to an end. Thanksgiving is here; the hectic shopping season is upon us; and our lives become much, much busier the next few weeks. Just as the seasons change, so do the seasonal specials that we put together. It seems like just yesterday we had more heirloom tomatoes than we knew what to do with.... I miss them already. 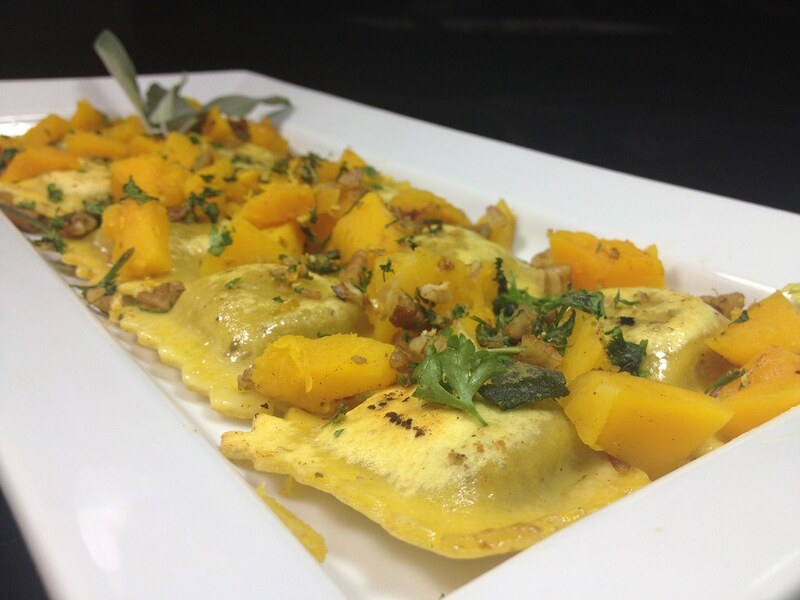 It won't be long before I'll be saying the same about one of my favorite dishes - Butternut Squash Ravioli in a Brown Sage Butter. Offered as our fall pasta special, this entree has about another week left on our menu. Our brown sage butter is made with a plugra butter, which is a butter that contains a higher butterfat percentage than traditional butter. This may be the secret ingredient in many flavorful dishes. This dish has a simple mix of flavors that work together quite well. If you've never tried it you'll love it. Just be sure to savor the taste while you can, because just as we miss our fresh garden tomatoes...this dish, too, would not be the same in June!